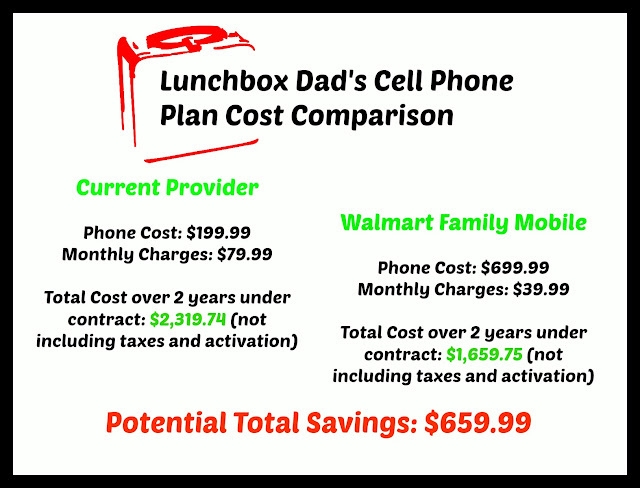 Lunchbox Dad: Walmart Family Mobile: The Best Wireless For Parents On the Go? 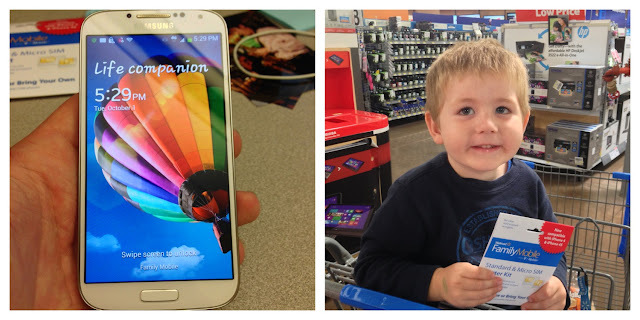 Walmart Family Mobile: The Best Wireless For Parents On the Go? I love finding tools that help make parents' lives easier. As a family on the go today, I don't know what we would do without a smartphone. As a dad, I am constantly looking up directions, texting my wife about what I should pick up from the store, and checking my fantasy football scores. The problem with smartphones is the cost of the plan. I have had my current provider for awhile but have not been extremely happy with the coverage or the cost. This lead me on a trip to Walmart to check out their Walmart Family Mobile Plan. To learn all about my whole trip click HERE. I was looking for the best wireless combined with the lowest price rate plan. Our family is on a budget so we are always looking for a cheap wireless plan. I am also a football fanatic with three fantasy football teams. It is imperative that the coverage and speed of my cell phone network be up to par so I could make those last minute lineup changes. Only 3G speeds, even with a 4G LTE phone. The cons are big deals to me, but it was worth seeing if I could live without those to save money for my family. I quickly did the math in my head and found out the potential savings I could have over a two year period of time. I say potential savings because I am always looking for hidden charges or fees. Obviously your savings could be greater depending on how much you pay for your phone service. When I realized, that I could save almost $700, I decided I needed to take the chance on this plan. Then came the surprising part. There were no hidden fees at the cash register. I paid $25 for the Walmart Family Plan starter kit. This was needed because I had to have their sim card put into the phone that I chose. There was no other activation fee, however. Before I could go home and try out this new plan, I had to pick out a phone. Walmart had many smartphone choices. 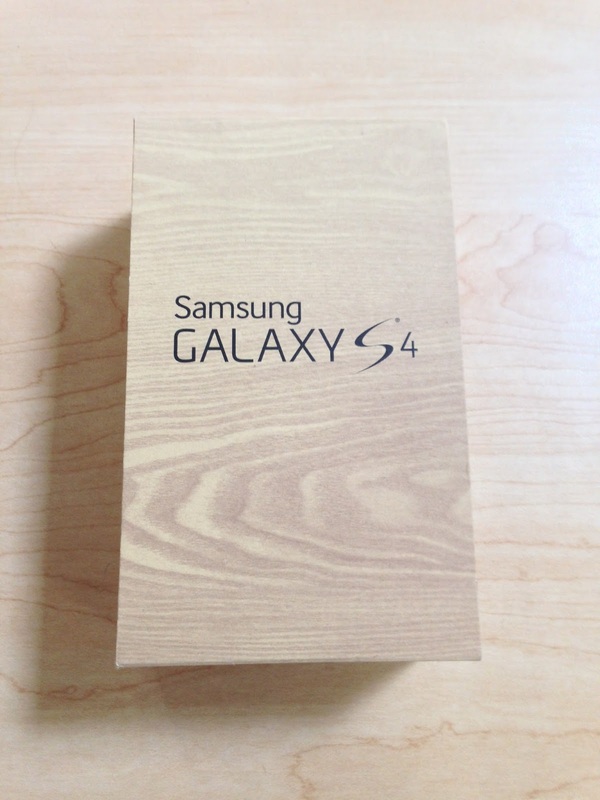 You can also use your own unlocked GSM phone, but I had the chance to try out the Samsung Galaxy S4. I had seen the commercials and done my homework. Many phones can email and lookup movie times, but I had a specific job in mind. I needed a phone that could do those other things while providing easy to use apps for fantasy football. I have played for years and know what a difference it can make having a great phone. When it comes to my three teams this year, I am currently undefeated in one league, middle of the pack in another, and bringing up the rear in my last league. So I not only must figure out how to stay in first place, but also improve my other teams. My phone needs to have the capability to give me the insider fantasy information while I'm standing in line at the post office or waiting for my order at the coffee shop. As a dad on the go, I don't always have the luxury of doing my fantasy football homework in front of the computer. My phone is my fantasy football best friend. It was time to put the GS4 to the test. The last part of my in store experience might have been the most surprising. When I buy a cell phone I am used to spending 1-2 hours jumping through hoops before I can walk out the door with it. I was pleasantly surprised that this wasn't the case here. When I asked questions that the Walmart clerk didn't know the answer to, he handed me over to his co-worker who addressed my concerns. I had the choice of activating the phone online, over the phone, or in store. I chose "in store" in case there were any problems. The clerk had the sim card installed and my new account activated in around 20 minutes. 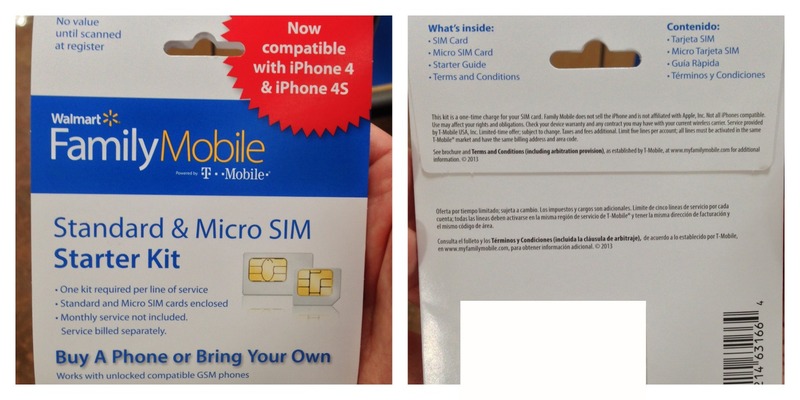 A little tip, make sure to write down your Walmart Family Mobile Plan PIN number. You will need it to make changes to your account later on. I didn't do this and had to figure out how to get my PIN after I arrived home. Because I needed to find my PIN, it did give me an opportunity to explore the Walmart Family Mobile Plan site. I found it simple to use but was a little frustrating because it didn't tell me everything I wanted to know. When I called in to find out my PIN, I also double checked a few details of the plan. I wanted to make sure I wasn't getting charged extra (I wasn't). I was put on hold for an extended period of time and the phone menu was a bit difficult to navigate. This customer support was the only downside I experienced that day. Click here to see the Family Mobile Plan site for yourself. I will be testing out this new phone and plan over the next couple weeks. I want to be able to let you know how it works and how it has helped me in my quest for the fantasy football championship. I do have to say that the phone has already made it possible to make a key quarterback pickup for this week while I was away from my desk. 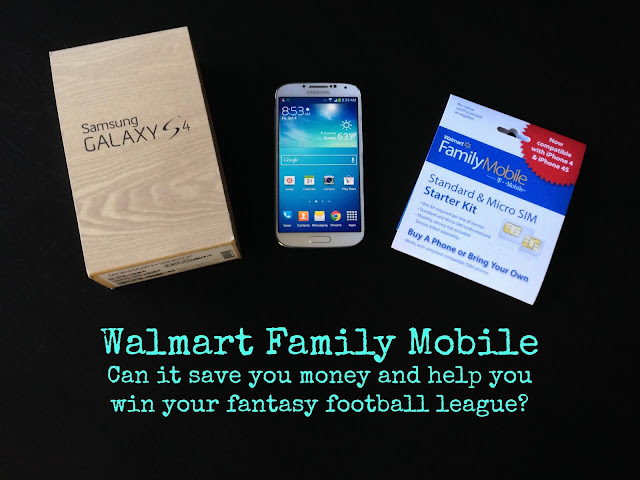 I will make sure and put the Walmart Family Mobile Plan to work and share with you whether this really is as good a deal as it seems on the surface. Thanks Kristin, it is a fun campaign to be a part of!